So, the high stakes testing regimen faced by schools all over this nation was based on a lie, and that lie has produced millions in sales for CTB/McGraw-Hill, makers of testing materials and Friends to President Bush. That was only the start of the lies used to sell No Child Left Behind and other high stakes testing models. These lies are also used to sell private, charter, and other corporate school models while attacking teachers and their unions. More on the faked Texas “miracle”. Now, educational testing celebrity Michelle Rhee has been discredited for lying about her teaching prowess. Rhee, along with the Rhode Island Central Falls School district superintendent Catherine Gallo who fired ALL the teachers in the district, has became the champion of teacher firing by letting go at least 600 teachers based on testing data. Moreover, Rhee didn’t even bother to interview the teachers, observe them in the classroom or give any type of evaluation. Rhee fired teachers based on limited information, a lie of omission. Fortunately, seventy-five of the fired teachers will now be reinstated. Rhee also falsely claimed that she was instrumental in raising test scores from the 13th percentile (from the bottom) to the 90th percentile (near the top) while teaching in Baltimore for three years. (Link) Critics point out that this is nearly statistically impossible and on further investigation, have caught Rhee in a lie. However, her followers still support her methods, discredited as they are.These fabrications are used to prove that testing and “accountability”, which amounts to firing teachers, works. Washington, D.C. schools recorded a vast improvement on test scores over the time Rhee was school chancellor from 2007 to 2010. During her tenure, she gave 10 schools special recognition for improvement. One improved school was Crosby S. Noyes. However, as many suspicious of this grand achievement point out, if it seems too good to be true, it probably is. Eight out of the ten campuses that were rewarded for achievement were also schools that recorded an abnormally high incorrect to correct erasures. Rhee claims that the erasure critique is based on one school. Yes, the study focused on one school, but as previously noted, the high erasure rates from incorrect to correct were found at 96 schools, not just at the one school focused on in the study. And the study looked at over 100 schools that had suspect erasure percentages. And, it can lead whole states to lie about scores. Yet, the White House keeps touting Race to the Top. L O’BRIEN (voice-over): Maybe not a misperception. After this revelation from Tennessee’s former Governor Phil Bredesen. O’BRIEN: Out and outlying to parents about how well their kids were doing? BREDESEN: In one case in eighth grade math we were telling 83 or 84 percent of the kids that they were proficient when they took the national test. O’BRIEN: What was the real number? Another thing to note is that while Race to the Top supposedly promotes “accountability”, it also requires states to commit to more charter schools, schools that aren’t accountable to city and state standards in the same way a public schools are. In order to meet the enforced proficiency standards set by NCLB, schools lowered the bar on standards to a level where the target percentage of students would be proficient. So not only do the test encourage lying, but they encourage a lowering of standards. Taxpayer-funded KIPP schools, praised in the film “Waiting for Superman,” succeed in sending poor graduates to college because the lowest-performing students drop out or don’t enroll at all, a study found. So, in order to perform well, they slough off or reject the lower performing children. All schools would perform better if they could just get rid of the castoffs. Instead of spending money helping the top students, why not work to make all schools better for all students? Booker T. Washington school in Memphis, TN won praise from the President for raising graduation rates in 2010. This miracle was achieved by dramatically lowering school enrollment and not counting students who dropped out the year before. Then the ‘miracle’ year of 2010, the ‘cohort dropout’ was back to 24.3% which, though lower than it had been in the previous two years was still slightly higher than it had been in 2007. But when you look at the ‘graduation rate’ for 2010 you get the often quoted, and the reason for the special guest speaker, 81.6%. The question is, how could a school with a 24% dropout rate and a 55% graduation rate have an 85% graduation rate three years later? The answer is attrition of failing students. The school enrollment was 760 in 2007, 732 in 2008, 649 in 2009, and then in the ‘miracle’ year 2010, down to 566. So the school had lost nearly 25% of its students in that time period, which is also the exact percent that the graduation rate climbed by. It is this kind of misleading data that is being used to give bonuses and close schools and fire teachers. It is no wonder schools are dropping the non-performing students and manipulating their testing data. If you get rid of those in danger of dropping out, you end up with a lower drop out rate and higher graduation rate. 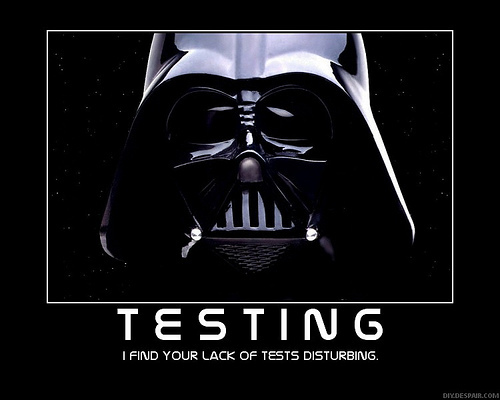 High stakes testing leads to lying and does nothing to improve the schools that they are targeting. A data entry clerk in the Seattle schools entered a curiously low number of high schools graduates going on to college, 17 percent. That number coincided with the announcement of Superintendent Goodloe-Johnson’s “Strategic Plan” that called for more charter schools and increased testing. Her plan was deemed too expensive, and the Superintendent has subsequently been fired. Again, a local school district, as they did in D.C., recognized bad leadership and fired the head of the schools. Perhaps this is why people in favor of high states testing love the top down federal government approach. Montana rejects high stakes testing entirely. Join the Bartleby project and reject high stakes testing. Arnie Duncie, Secretary of Education, promotes more Race to the Top competition grants and U.S. Secretary of Health and Humans Services blames the children. I don’t this is an improvement from blaming teachers. Visit your local school board today and ask them to stop the testing madness. Hey Tex, not on topic but I have a question, do you know if J is doing ok? I liked his blogs on MySpace but haven’t heard anything from him lately. If he’ bloging some where else? If so could you provide me a link? I don’t know. Good question. I too was a fan. If I learn anything, I will pass it on.